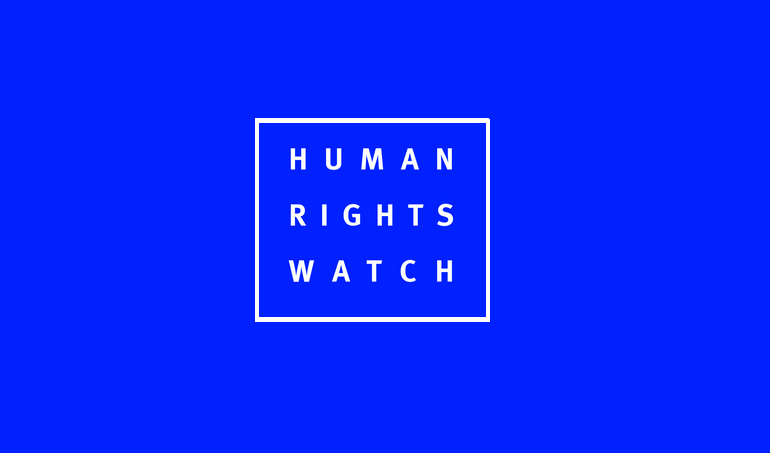 (Beirut) – Egyptian authorities have repeatedly violated a married couple’s due process rights since their June 30, 2017 arrest and subsequent detention, Human Rights Watch said today. Interior Ministry forces arrested Ola al-Qaradawi, 55, and her husband, Hosam Khalaf, 58, without a warrant over an alleged Muslim Brotherhood link while they vacationed in Egypt’s North Coast and have held both in solitary confinement for at least 70 days. According to a statement provided to Human Rights Watch by the family’s United States-based lawyer, National Security agents went to the couple’s summer house and took them for questioning at a nearby police station. While the agents did not show a warrant, the couple complied. Their family was unaware of where police kept them for two days, until a lawyer told the family that he saw them by chance in the Supreme State Security Prosecution’s building in Cairo. Since the army’s forcible removal of former President Mohamed Morsy in July 2013, prosecutors in Egypt have been holding thousands of people in pretrial detention for periods up to several years. Egyptian security claimed the reason for the interrogations was the couple’s presence in the summer house, owned by Ola al-Qaradawi’s father, Yusuf al-Qaradawi, an Islamic cleric whose assets are frozen for alleged links to the outlawed Muslim Brotherhood. But the family’s lawyer and Ola al-Qaradawi’s daughter, Aayah, both told Human Rights Watch that the property officially belonged to Ola’s deceased mother. On the night of June 30, National Security agents searched the couple’s home in Mokattam, a neighborhood in Cairo, without a warrant, and confiscated the Ola’s jewelry, her passport, and other possessions, her daughter said. The family’s lawyer said that Supreme State Security prosecutors interrogated the couple separately without a lawyer present. On July 2, prosecutors ordered them detained pending investigations on terrorism-related accusations but failed to present any charges in an official way. Prosecutors have since renewed their detention without judicial review. Prison authorities refused to allow lawyers to visit the couple in detention and prosecutors denied them access to legal documents pertaining to the case, including an official written copy of the charges. These violations have hampered the couple’s ability to mount a legal defense, their lawyer said. Additionally, Ola’s lawyer claimed that authorities have denied her consular rights to the Qatari Embassy, as she is a dual Qatari-Egyptian national. Hosam has been held in the Maximum Security Prison II in the Tora Prison complex, while his wife is in the al-Qanater Women’s Prison, both in Cairo. Relatives of the couple and their lawyer said they have been held in inhumane prison conditions. They are confined to their 1.6 x 1.8-meter cells with no windows or ventilation for 24 hours a day, with Ola allowed to leave her cell once a day for five minutes to use the bathroom. The lawyer said they are inadequately fed and that authorities have not allowed family members to deliver food or other items to supplement the inadequate prison diet. Lawyers said Ola appeared to have lost a considerable amount of weight. In 2016, Human Rights Watch found that the authorities’ treatment of prisoners in Scorpion Prison, a maximum-security facility within the Tora Prison complex where many prominent opposition and Muslim Brotherhood political figures have been held since 2013, violated a host of protections afforded to detainees. One of the family’s lawyers said that he has been able to meet with his clients only on four occasions for just a few minutes during the pretrial detention renewal sessions. Hosam was an active member of al-Wasat Party between 2011 and 2013, holding several senior administrative roles. Al-Wasat Party opposed the 2013 military coup, and has become a target of the widespread government crackdown on dissent. Authorities have detained its vice-president, Essam Sultan, in Scorpion Prison for four years and held Abu al-Ela Mady, the party leader, in pretrial detention for two years, releasing him in August 2015 with no trial. Hosam was arbitrarily arrested in 2014 and detained for two years without trial. As with thousands of politically motivated arrests in Egypt, prosecutors periodically renewed Hosam’s detention, but never sent him to trial. He was released in March 2016. Ola’s father is the well-known Qatar-based Islamic preacher and scholar Sheikh Yusuf al-Qaradawi, head of the International Union for Muslim Scholars. He is critical of the 2013 military coup that ousted president Morsy. In May 2015, a group of 159 Muslim scholars issued a statement endorsing “al-Qasas” or “retaliation” against those who are responsible for killing “innocents” in Egypt, including retaliation against judges, politicians, and media figures. The statement was signed by the Union for Muslim Scholars’ vice president, Sheikh Ahmed Raissouni, but not endorsed by al-Qaradawi. However, Egyptian officials and pro-government media focused their criticism on al-Qaradawi. The religious endowments minister, Mohamed Goma’a, encouraged placing al-Qaradawi on Egypt’s “terrorist list.” Al-Qaradawi was sentenced to death in absentia along with Morsy and 98 other defendants, only six of whom were in custody, in June 2015. Human Rights Watch’s analysis of the case shortly after the verdict found that the trial was flawed and that the judges failed to establish individual criminal guilt. In February 2017, a Cairo criminal court placed more than 1500 people, including al-Qaradawi, on a terrorist list. Egypt has repeatedly demanded al-Qaradawi’s extradition from Qatar. A government-controlled committee also froze his assets for alleged links to the outlawed group; the Muslim Brotherhood. On August 17, the same committee ordered an asset freeze of 16 more people, including six of al-Qaradawi’s children, his daughter, Ola, and her husband, Hosam Khalaf. The International Covenant on Civil and Political Rights, which Egypt has ratified, prohibits arbitrary detention. According to the United Nations Human Rights Committee, the body that monitors compliance with the covenant, detentions are arbitrary if not in accordance with due process of law or are manifestly disproportional, unjust, or unpredictable. International law also requires that detainees be presented speedily before a judge, usually within 48 hours, to review their detention. It also provides for a trial within a reasonable time. Pretrial detention in the Egyptian Criminal Procedure Code should only be used in certain cases such as when fearing the escape of a defendant or when a defendant has the ability to affect the evidence. But prosecutors rarely, if ever provide an explanation of their decisions and have been using pretrial detention unjustly to keep political dissidents in prisons. Egyptian prosecutors should charge the couple based on clear evidence and bring them before a judge to rule on the legality and necessity of their detention or immediately release the couple.